The 6th/7th Red basketball team traveled to Country Day on January 23 and had one of their best games of the season. They took an early lead in the first quarter and held on to a four-point lead going into the half. Country Day came out ready to play in the second half, but they were no match for the fierce Cardinals. 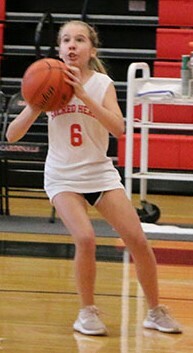 Kate Farris '24 scored six points on fast-break layups. Marguerite Doucet '25 and Taylor Robert '25 led the team in steals, while Natalia Mehaffie '25 pulled down 10 rebounds. With two minutes left in the game, the score was tied. The seventh grade leadership on and off the court led the Cardinals to a well-fought victory, defeating the Cajuns 19-16. The 5th grade basketball team also had one of their best games of the season against Country Day. Jumping out to a commanding 12-0 lead in the first half, the Cajuns did not score until midway through the third quarter because of the Cardinals' spectacular defense, which earned more than 14 steals in the game. Leah Varisco '26 led all scorers with ten points and three assists. René Charles '26 added four points while Shayde Randolph '26 and Avery Cheatham '26 each scored two points. 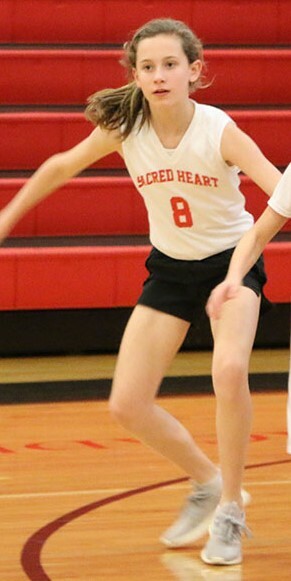 The highlight of the day was when Ellie Habetz '26 drained her first three-pointer of the season. The Cardinals were able to run away with the victory, 21-2 and closed out their regular season on a high note.